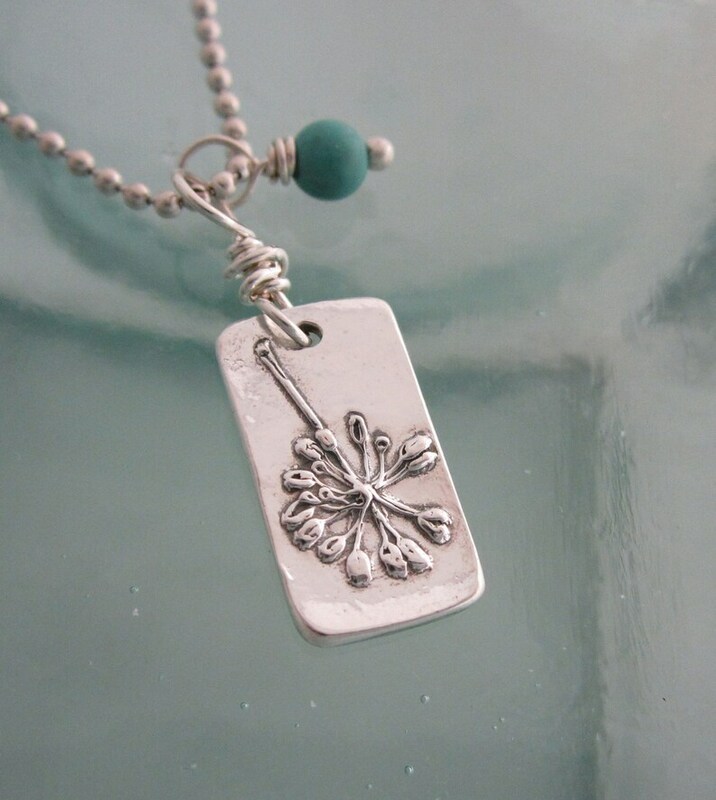 This handcrafted pendant features a natural small parsley seed pod and is captured in .999 fine silver forever more. The pendant itself measures approx. 3/8" wide by just under 3/4" long. I have added a patina finish to enhance the detailing of the seed pod, and polished it to a warm shine. Included in this listing is an 18" .925 sterling ball chain and a sterling wire wrapped round turquoise bead. 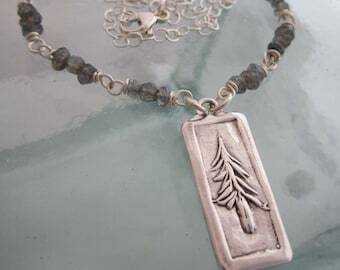 The pendant has a sterling wire wrapped bale attaching it to the chain, and hangs about an inch from the top of the bale to the bottom of the pendant. Both the pendant and the bead are free hanging on the chain (not stationary). If you would prefer a different style or length of chain, or a different type bead, please contact me and I will be happy to discuss your options with you.